We always expected Star Fox Zero to arrive to a mixed reception, which it indeed has. The reasons for indifference don’t simply boil down to motion controls though – the game’s length and lack of replay value also came under scrutiny. 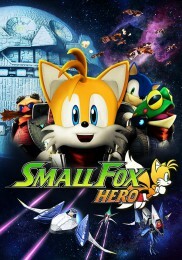 Other critics felt that it’s a little too similar to the legendary Star Fox 64. During this week’s new release round-up we gave both the Eurogamer and Polygon SFZ reviews a mention. Eurogamer chose not to hand out one of their merits of recommendation. Neither did they advise readers to avoid it entirely, though. “It’s enjoyable enough, and if you’ve any affection for Star Fox 64 it’s worth showing up, but there’ll definitely be moments where you wish you were elsewhere” they said, while comparing it to a Star Fox reunion. As for Polygon…well. They posted this piece explaining that they aren’t giving it the review treatment due to frustrating controls. “I’ve made it through a little more than half of the game, and thus far, Star Fox Zero isn’t just a collection of mechanical problems. Levels are extremely simple, lacking any real sense of spectacle or, well, adventure. Combat moves in fits and starts, and levels are very short, often ending just as they find any sense of rhythm or satisfaction”. They then went on to describe it as a “launch title for the Wii U console, full of half-fleshed-out ideas that don’t quite stick”. “I can’t help but wonder what happened” they concluded. With scores as high as 8/10 from other outlets, Polygon seems to be in the minority. They aren’t alone however – GamesRadar and Giant Bomb weren’t wowed either.